Vision Trip: What is and how does it works in order to donate wheelchairs in Costa Rica? Mobility is a human right. January, 2019. Wheelchair donation day in alliance with Clinica Biblica Hospital. July, 2017. Wheelchairs donations as a gift of independence and self-confidence, working together with Right at home and Free Wheelchair Mission. November, 2017. Reaching out beneficiaries with Guanacaste Community Fund and Do It Foundation. Wheelchairs delivery to patients in poverty with help of Fundación Regalemos Sonrisas and San Juan de Dios Hospital. May, 2015. 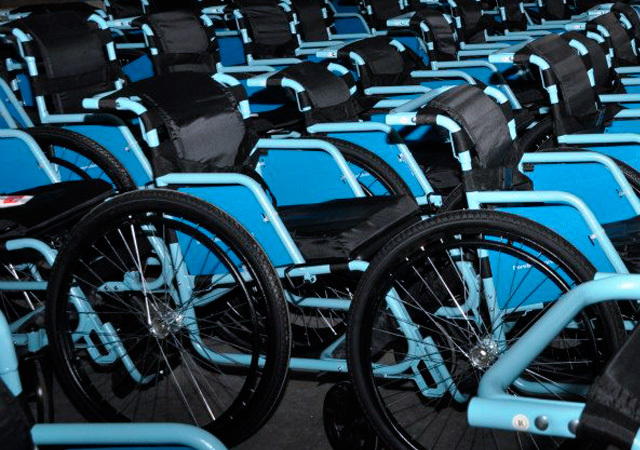 More than 100 wheelchairs donated in cooperation with Hospital Clínica Bíblica. July, 2014. Do it Foundation © 2018.